Kurt Michaelson: Phew! I'm Glad That's a Story for Someone Else! Phew! I'm Glad That's a Story for Someone Else! 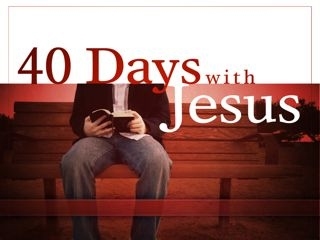 We Christians have heard many sermons about the Pharisees of Jesus’ day, and usually they are caricatured as evil men with frozen sneers and crooked noses, peering around corners, always trying to trap Jesus. This is all built on a kernel of truth, of course, because they certainly did oppose Jesus, and He certainly did denounce them many times for their religious hypocrisy. The problem is that it’s too easy to make a caricature of someone like that, so that we can easily dismiss them as being far different than ourselves. 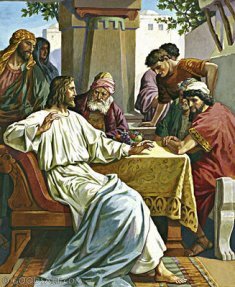 In Luke chapter 14, Jesus was sitting eating in the house of one of the rulers of the Pharisees (verse 1). Hmmph! Now why did Jesus do that? Didn’t He know what we all would think of the Pharisees? What was He doing having dinner with such scoundrels? Well, at least we can console ourselves with the knowledge that Jesus used the occasion to challenge them. Yes, that’s what this is all about. That’s obviously why He went there; just to give them another serve. First of all, He challenged them about their ideas of Sabbath-keeping (the usual bone of contention). He confounded them into silence (verses 1-6). Then He noticed how they were “working the room”, positioning themselves in the best seats for being noticed and getting ahead. So He told a story about wedding feasts that made them rethink how their behavior was sure to backfire on them sooner or later (verses 7-14). So, in response, Jesus told one more story for the evening (verses 15-24). A story about a wealthy man giving a great feast, and he invited lots of people that you’d expect him to invite. When the time came for the feast, however, his guests starting giving excuses for why they couldn’t come. One had bought a field and he had to go look at it (like it was going to do something interesting); another had bought 5 new teams of oxen and had to go test them (like that couldn’t wait); and yet another had recently got married (like he couldn’t drag himself away for one evening). Pathetic excuses, huh? Too preoccupied with a possession, an ambition, and a relation. Well, when the host heard it he was furious. So he said go invite the poor, the crippled, the blind off the street instead. They’ll be my guests. In fact, open it up to all and sundry from everywhere – fill the house! Great story. And of course, we know what it’s all about, right? Those Pharisees. Hehe … Jesus got ‘em good, didn’t He? They thought they’d always be the A-list crowd; they’d always be on top of the guest list. But God has turned away from them because of their attitude, and He’s given the rest of us poor schmucks a chance. Religious bigots left outside, the doors opened to the rest of us. ONLY ONE PROBLEM. A little bell is ringing in the back of my head somewhere, and an uneasy feeling sits in the pit of my stomach. Why? Should I dwell on it, or shake it off, close my Bible and get on with my day? I take a moment and think about it, and there it is. You see, I have my own versions of a piece of land, some new oxen and a new marriage that have me pretty occupied too. Possessions … ambitions … relations … and all of a sudden the invitation to the great feast with God is not my top priority. And all of a sudden I am not “loving the Lord my God with all my heart, mind, soul and strength”. So maybe – just maybe – it’s not only a story for pharisees?